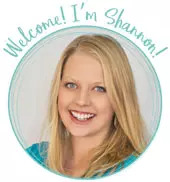 by Shannon Clark in Pay Off Debt | 21 comments | Contains affiliate links. 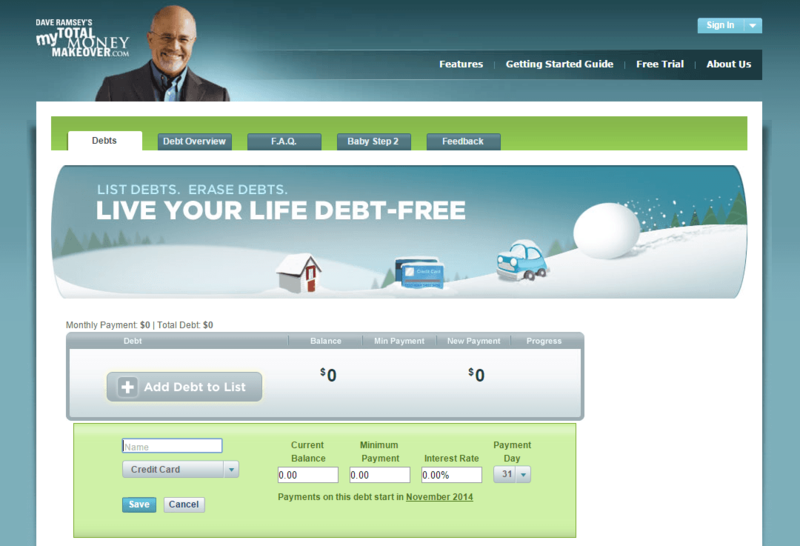 Discover how to use the Dave Ramsey debt snowball with this free debt snowball example video. Make small changes to get out of debt months or even years faster! I am so excited to share how to use the debt snowball calculator with you because I believe that, not only will it help you with the cold hard numbers, but it will also help you get motivated to be debt free! Once you see how paying even a small extra amount toward your debt can cut months off your debt payback, you’ll be inspired to save more and more. At least, that was how I felt when we were working on paying off our $22,047 in student loan debt. This is a great free tool to help you get out of debt faster. However, I’ve found that it can be a little hard to find and use if you don’t know what you’re looking for. Even though I’ve used it more than is probably healthy, I always find myself clicking around trying to locate it. Once you finally find it, it isn’t immediately apparent how to make use of the full power of this free tool. Today I want to show you exactly how to get there, and how to use the Debt Snowball Calculator, so I’ve created a video and a picture tutorial below to get you started. 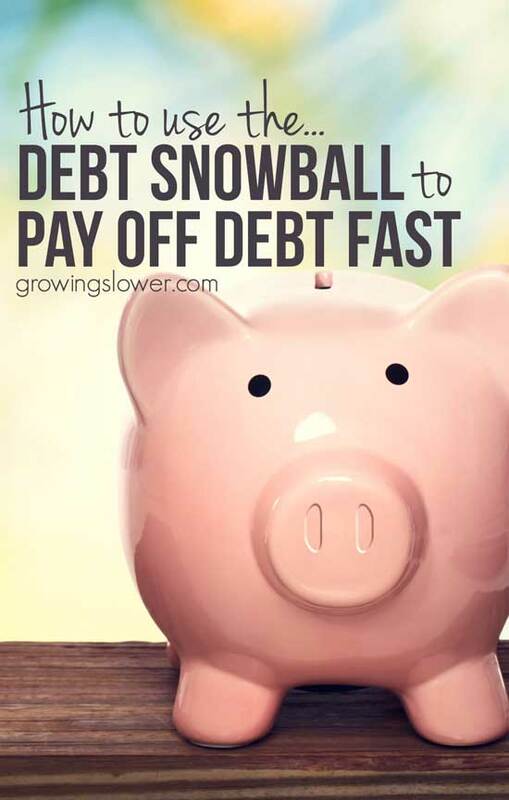 The concept of the debt snowball is to pay off your smallest debt first. Then use the money you were putting on the monthly payment from your first loan toward your next biggest debt, and so on. It doesn’t exactly make sense mathematically. Wouldn’t it be better to start paying toward your highest interest loan first? Maybe. Psychologically though, as you experience your first taste of success by paying off the smallest loan quickly, you’ll feel more motivated to keep finding ways to save money and earn money to put towards your loans until you’re out of debt. You can watch the video tutorial below to see how to use the debt snowball calculator, or read the picture tutorial that follows. For the example, I’ll be using the starting amount that we had when my husband and I started our journey to debt free. Then, I use several examples of small budget adjustments that you might use to get out of debt faster. Be sure to plug in your own numbers to the calculator after the tutorial, so you can see exactly how this applies to your own situation. 1. First, go to the free debt snowball calculator. Unfortunately, the debt snowball calculator I’m using on this video is no longer available on Dave Ramsey’s My Total Money Makeover site. However, there are several good debt snowball calculators now available online that work in the same way as shown in the video. You may want to try the ones recommended by The Simple Dollar or Lifehacker. Regardless of which spreadsheet or calculator you use, the basic steps to completing your debt snowball will be the same, as you’ll see below in my debt snowball example. 2. Once you’re there, click the orange “Add Debt to List” button. Then enter your smallest debt first. You can type in a name for the debt, select the type (student loan, credit card, “stupid tax”, etc.). Also enter the current balance, minimum monthly payment, interest rate, and what day of the month you make your payment. 3. Repeat step 2 for all of your debts. List them in order from smallest to largest. At some point it may ask you for your name and email address, so you can save your information. Even if you don’t choose to sign up, you can still keep using the calculator. Just “x” out of the subscription box. Now the magic really happens! You might notice that the Debt Free Date listed is February 2020. That’s great, but what happens if we start finding ways to make small extra payments toward the loans? 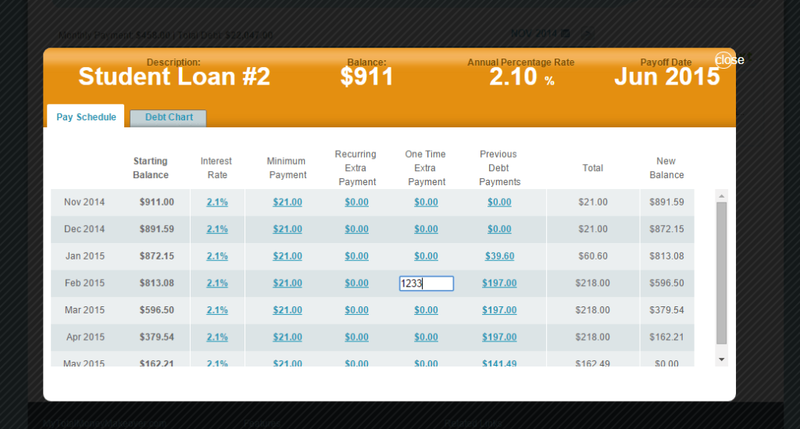 Click the little gray words that say “Payment Schedule” under your first loan. Then, enter a small extra payment in the “recurring extra payment” column. It doesn’t look like you can edit this at first, but just click on the “$0.00” text, and you’ll be able to type in your own amount. The calculator automatically “snowballs” your previous minimum payment and any recurring monthly payments over to your bigger loans once the smaller ones are paid off. That tiny extra payment just knocked 6 MONTHS off our debt payback. Hello! I told you this tool was powerful. What if in October, you find a few more ways to start saving money that adds up to another $100 per month? I did this and more by finding simple ways to save money on groceries. During out debt payoff we spent at most $300 on groceries, and one month we spent just $170! In November, you open an Etsy shop or write a short book for Kindle and start making an extra $50 per month. Through these few little tweaks to your budget, you’re now on track to pay off your debt 21 months sooner than when you started! We aren’t done yet! In February maybe you get a bonus at work and put all $1,233 toward your debts. Voila, you’re paying off that debt another 2 months sooner. You’re really excited about getting out of debt now, so in March you do a No Spend Month and save an extra $300. Nothing can stop you now. In April you do some spring cleaning and sell $200 worth of stuff you didn’t need. Maybe in May you get an $800 tax refund. Of course, all of this goes straight on your debt repayment! You need to have a plan when these small windfalls come your way. Make the decision ahead of time: any extra income goes to paying off that debt! Otherwise, it can all too quickly disappear on small extra purchases here or there. Don’t waste the opportunity to make a big impact on getting out of debt fast! Altogether, in quick and relatively painless fashion, you will be debt free over 2 years sooner! Of course, this is an example using some random numbers. 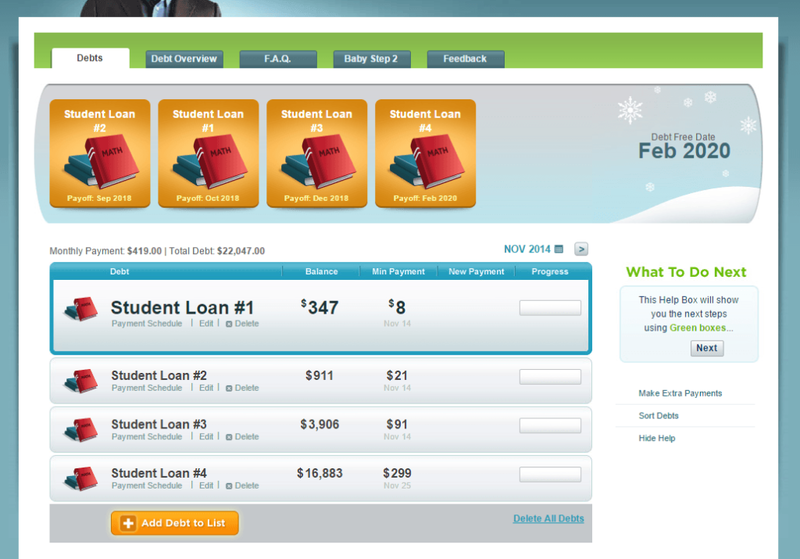 The real power of the Debt Snowball Calculator is when you log on and start looking at your own debt repayment plan. Play with the numbers, and start to see how even small changes in your budget can make a real difference. Then go crazy with getting out of debt! The sooner you start, the sooner you’ll reach your goal. Have you tried the debt snowball calculator yet? How much faster can you get out of debt? I’m entering my debt into the snowball calculator, but my student loans are on an income-based schedule and I’m not required to make a payment. The calculator will not let me put zero as a minimum payment. Any suggestions? I’m not finding any additional info on the MTMM site. 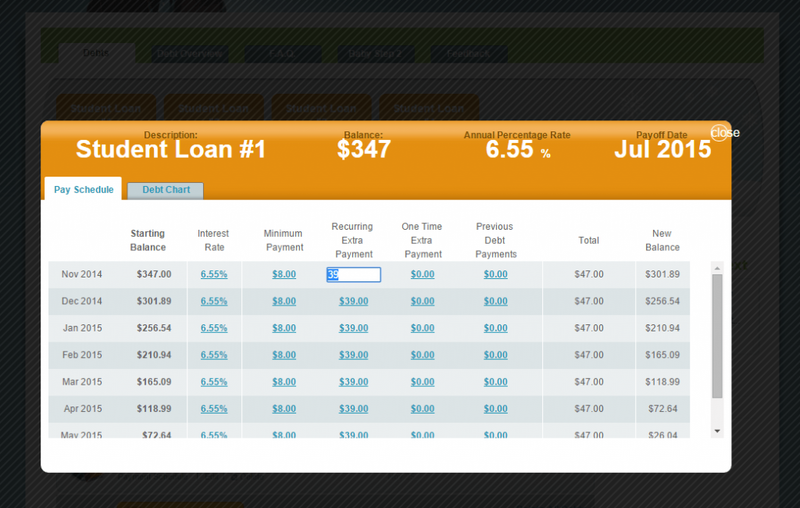 -First, check with your loan account to find what your current loan payoff date is. -Then, when you’re doing the debt snowball calculator, instead of entering zero in for your minimum payment, just put the lowest number the calculator will let you get away with. I think it wants at least enough to cover interest. Just try a few numbers until it works. -Then go ahead and enter your extra payments. It should give you a fairly accurate new debt free date. 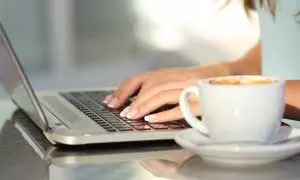 -Then you’ll have to calculate your own time saved by “subtracting” the new debt free date from the original payoff date you found from your loan company. After adding the debts, when I clicked the save button at the bottom, a pop-up came up to register for the monthly Total Money Makeover membership. Is there a way to save the calculator without paying for the membership? I believe they have it set up where you have to pay if you want to access your saved info. Maybe you can just jot down the key stats so you could quickly reenter them another time instead of saving? Is there a place where it keeps track of your other monthly expenses? Things like Rent, Cell Phones, Car Ins. 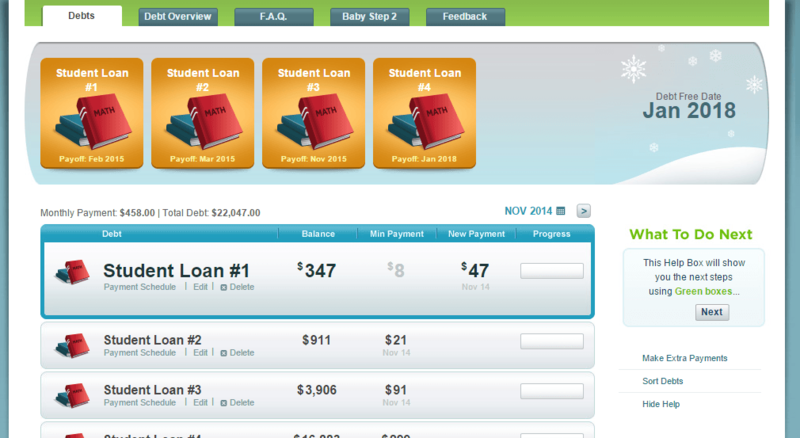 Will it accommodate those monthly costs when figuring how much you can pay towards the loans? It doesn’t do that. If you’d like to track your monthly expenses in order to figure out what you can afford, I highly recommend Mint.com (it’s completely free). However, I will say from experience that even when you don’t think you can possibly pay any extra, somehow if you’re determined enough, you still might be able to squeeze it out of your budget! :) If you don’t already track your monthly expenses, that will be an absolute must in the debt free process. If you have any other questions or need extra resources, feel free to ask here or email me. I am confused about the “time limit” mentioned on the Dave Ramsey website. It says that all debts should be paid off in 18-24 months, or the item should be sold. My student loans won’t be paid off for around 10 years, and I obviously can’t sell them! Does that mean that I cannot use this method, or that it won’t make a difference? Great question Holly! He’s talking about loans that are tied to a specific item, usually a car. His theory is that if you can’t get your car loan paid off in 18-24 months then you should sell the car and buy a clunker. Unfortunately, there’s no selling back your education to get rid of a student loan, haha! You most definitely can still use the debt snowball and it will be 100% just as effective. Congrats on making your plan to be debt free!! Do you have to pay for the Dave Ramsey membership of $9.95 per month in order to use the screen at the 2:44 mark of this video? I can’t seem to get to that part. No, you don’t have to pay. When it just pops up and asks you to join, just close out of it, and it should let you move on. Thank you for showing me this tool! We have been working on paying off our student loans for a little while, but your blog & posts have really motivated me to do more and pay them down faster. This calculator is awesome! Previously I had been estimating payoff dates because I couldn’t figure out a good way to keep track of interest, but now I can see exactly how much sooner we can pay them down. With the extra amount we are putting towards debt, we will shave off 2 years! I was the exact same way! I was trying to do it with a spreadsheet, but interest is so complex that I was always off. I was so happy when I found the debt snowball calculator! I’m so happy the blog has been an encouragement! Congrats on your journey to debt free!! Hello! I have been trying to use the debt snowball calculator for hours and it keeps telling me there is an error on the page! Is there another way?? I just thought that I would let you know that they have since limited access to the Total Money Makeover website and have switched to http://www.everydollar.com. In it, you can still set up your budget and debts, but I have yet to find anything similar to the Debt calculator. :( I’ll keep looking, but let us know if you find something!! Yep, Im having the same issue. I can’t find a snowball calculator anywhere on the internet! Does this website do the same thing as Dave Ramsey’s debt calculator? Hi Shannon! I’m trying to get to the snowball calculator but it won’t let me do it. Maybe this will help. I think it’s the same concept. I’m about to plug in my numbers to see if it’s like the Dave Ramsey one she posted but is apparently not available anymore at that link. Crown Financial Ministries is an excellent organization.